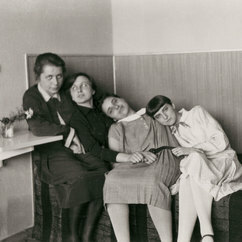 The Bauhaus was arguably the single most influential modernist art school of the 20th century. Its approach to teaching, and to the relationship between art, society, and technology, had a major impact both in Europe and in the United States long after its closure under Nazi pressure in 1933. Only active for 14 years it started as the “State Bauhaus” (Staatliches Bauhaus) in Weimar, as a “school of design” in Dessau and as a private education institute in Berlin. One hundred years ago.